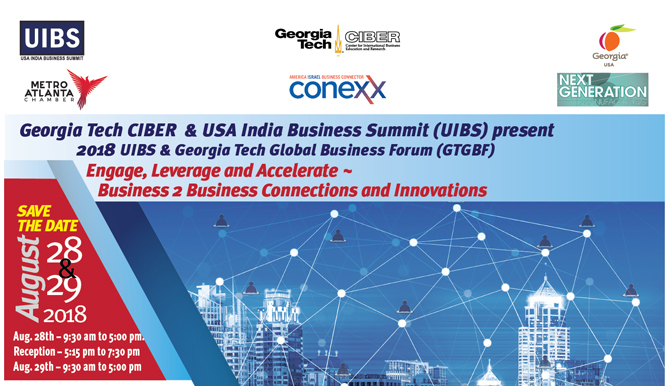 Register Now for the 2018 UIBS and Georgia Tech Global Business Forum (GTGBF). 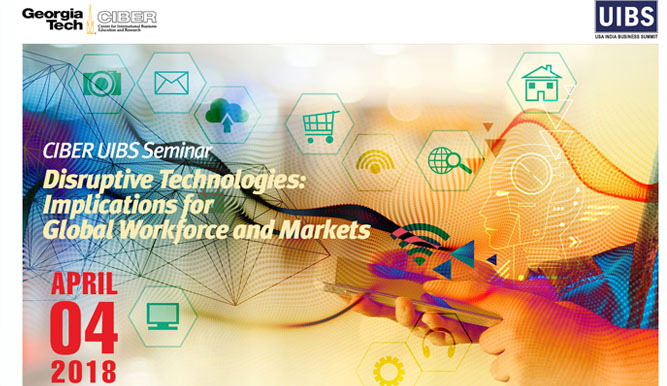 Program is scheduled to take place Wednesday, April 4, 2018 @ Technology Square Research Building (TSRI) 85th 5th Street NW, Atlanta GA 30308. .
Register Now for Disruptive Technologies: Implications for Global Workforce and Markets. 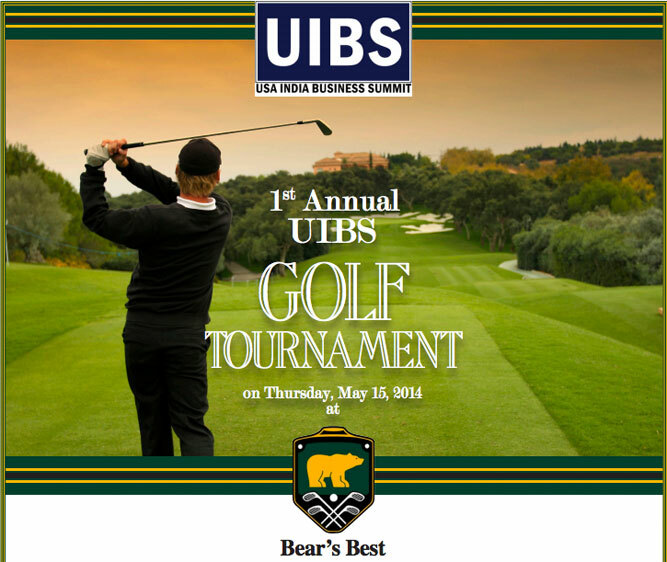 8th USA INDIA BUSINESS SUMMIT (UIBS 2017) & 23rd GEORGIA TECH GLOBAL BUSINESS FORUM (GTGBF): "Global Advanced Industries - Creating Local Opportunities Conference"
Tournament is scheduled to take place Thursday, May 15, 2014 at Bear's Best - 5324 Aldeburg Drive, Suwanee GA 30024. Register Now. 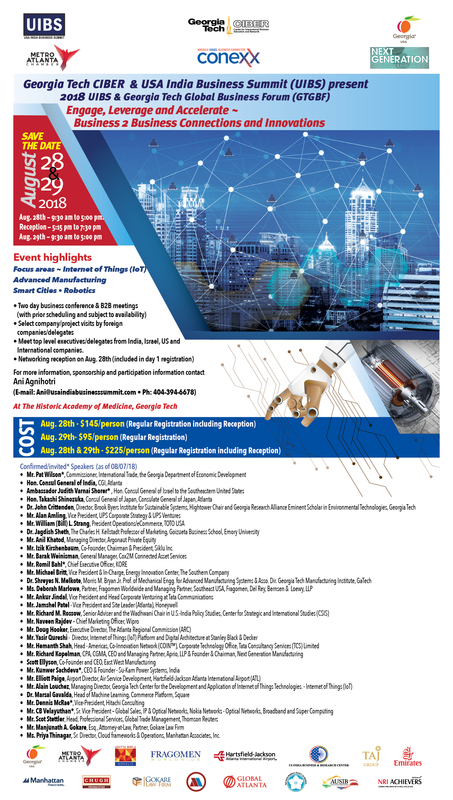 This day and half executive business forum is designed for business decision-makers, strategic business planners, consultants and senior academics interested in the business opportunities and profit potential afforded by the rapid expansion and globalization of India's Supply Chain. 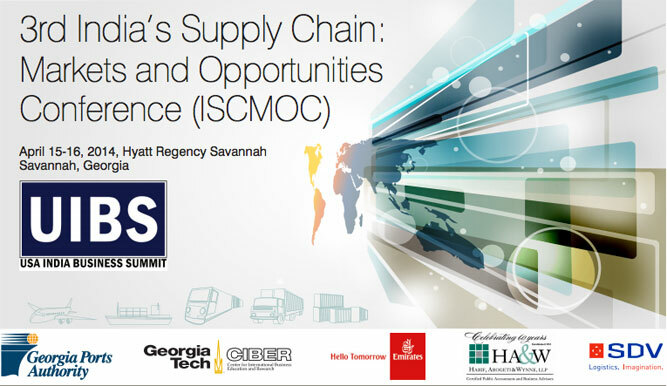 Program is scheduled to take place Tuesday, April 15, 2014 and Wednesday, April 16, 2014 at the Hyatt Regency Savannah, Georgia. Click here for hotel information and to make reservations. Register Now for ISCMOC 2014. The ever changing nature of higher education in a globalized and increasingly interdependent world is posing tremendous challenges.To meet these challenges, institutions of higher education are seeking ways to further innovate and connect with outside communities in a strategic infrastructure where new initiatives blossom, flexibility abounds and global reputations expand. Knowledge development and the commercialization of that knowledge in the international context are seen as the primary work of 21st century universities. Program is scheduled to take place from 1 pm to 5pm on Thursday, December 5, 2013 at the Metro Atlanta Chamber. A reception will be held between 5 pm to 6 pm. Register Now. UIBS 2013 and the 19th annual Georgia Tech Global Business Forum are being organized in Georgia Tech, Atlanta on September 11 and 12. UIBS has distinguished history of being largest conference in the South-East USA that promotes business relations between USA and India. Key sectors of interest this year include Innovation and R&D in: Life Science, Agribusiness and Heatlhcare IT, Financial Technologies, New Media - Web, Films, TV, mobile, animation and gaming, etc. Bilateral trade between the U.S. and India is growing explosively, and is likely to triple in the next five years. 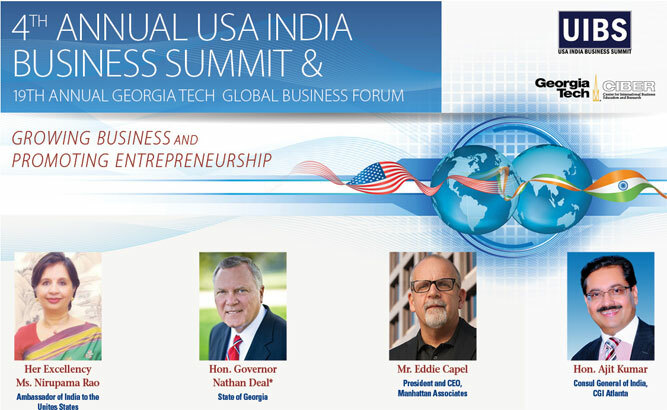 To capitalize on the opportunities afforded by this bi-national relationship, the 4th Annual USA India Business Summit (UIBS) will be held in Atlanta on September 11th and 12th, 2013, at the Georgia Tech Historic Academy of Medicine. The theme of the UIBS 2013 is "Growing Business and Promoting Entrepreneurship." Goal of UIBS is to promote business and investment between USA and India in key areas of technology, clean tech, infrastructure, logistics, real estate and investment, etc. Our special emphasis is to connect entrepreneurs and small-to- medium size businesses. UIBS 2013 is organized by Georgia Tech Center for International Business Education & Research (CIBER), USA India Initiatives, Inc. (USIII) and US India Business and Research Center (USIBRC) with support of Georgia Department of Economic Development, the Metro Atlanta Chamber of Commerce, U.S. Commercial Service of United States of America, Department of Commerce. Georgia is and will continue to be an excellent gateway to the US and the US market for Indian companies of every type and size. One of the world's leading centers for business and trade, Metro Atlanta, comprised of 28 counties, is home to 5.3 million people and more than 145,000 private-sector firms. Atlanta's top three industry sectors are trade, transportation and utilities, professional and business services and government. Businesses include 17 FORTUNE 500 headquarters, hundreds of other headquarters, over 2,100 international companies, and thousands of small businesses. Atlanta is a top higher-education metro area with institutions including Georgia Tech, Emory University, Georgia State University and many technical colleges. Young, educated professionals are a significant sector of the workforce. Hartsfield-Jackson Atlanta International Airport is the world's most-traveled airport serving over 90 million passengers annually. 80 percent of the U.S. can be reached within a two-hour flight and 90 international destinations in 55 countries can be reached nonstop. The cost of living consistently ranks below the national average. Residents have many recreational and entertainment choices including professional and collegiate sports, theatrical productions, art exhibitions, community festivals, golf, tennis, and shopping. For more information on Atlanta please visit, (Source: http://www.metroatlantachamber.com/content/IntPage.aspx?Id=42&SId=6).